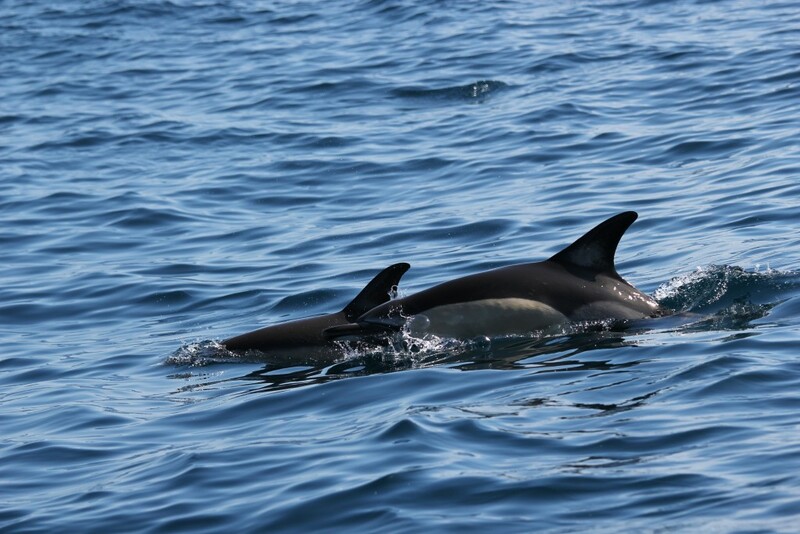 Last Saturday the passengers of Hegaluze Barria ship enjoyed the calm sea crossing of The Bay of Biscay, the good weather and watched a big pod of common dolphins and a couple of Cuvier´s beaked whales swimming close to the ship. At 11.22 a group of six common dolphins approached the boat shyly. Some minutes later the big pod of about sixty dolphins reached the ship and started playing with the boat; wake and bow riding. Around 12.25 a couple of big Cuvier´s beaked whales, a male and a female, were seen swimming close to the boat. We also watched plenty of sea birds such as storm petrels, balearic shearwater, northern gannets, cormorants, and sandwich terns. A perfect day!!! Entrada anteriorMaravillosa salida “Cetáceos a las 10”Entrada siguienteZETAZEOAK 10etan… bai egun ederra ! !